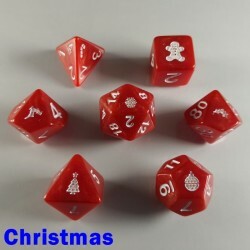 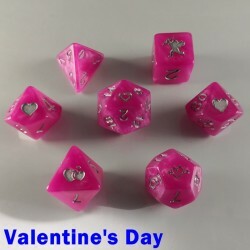 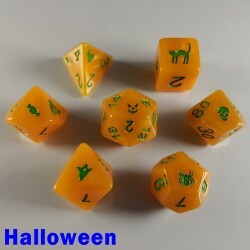 Critit ‘Spirit Of’ Occasion Dice – Christmas Standard ‘16mm’ Polyhedral 7 Dice RPG Set The dic..
Critit ‘Spirit Of’ Occasion Dice – Easter Standard ‘16mm’ Polyhedral 7 Dice RPG Set The dice a..
Critit ‘Spirit Of’ Occasion Dice – Halloween Standard ‘16mm’ Polyhedral 7 Dice RPG Set The dic..
Critit ‘Spirit Of’ Occasion Dice – St. Patrick’s Day Standard ‘16mm’ Polyhedral 7 Dice RPG Set ..
Critit ‘Spirit Of’ Occasion Dice – Valentine’s Day Standard ‘16mm’ Polyhedral 7 Dice RPG Set T..
Critit ‘Spirit Of’ Occasion Dice – Wedding Standard ‘16mm’ Polyhedral 7 Dice RPG Set The dice ..
Adeptus Mehcanicus 15mm D6 Sent in a small zip lock bag Price is per die Please note t.. 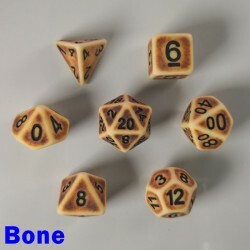 Ancient Bone Polyhedral 7 Dice RPG Set Standard ‘16mm’ RPG set, sent in a small zip lock bag P.. 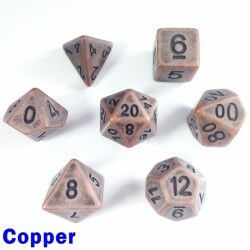 Ancient Copper Polyhedral 7 Dice RPG Set Standard ‘16mm’ RPG set, sent in a small zip lock bag .. 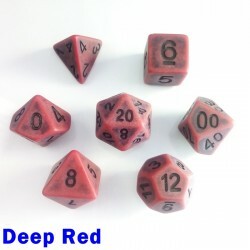 Ancient Deep Red Polyhedral 7 Dice RPG Set Standard ‘16mm’ RPG set, sent in a small zip lock bag .. 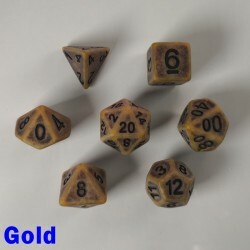 Ancient Gold Polyhedral 7 Dice RPG Set Standard ‘16mm’ RPG set, sent in a small zip lock bag P.. 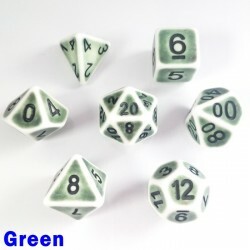 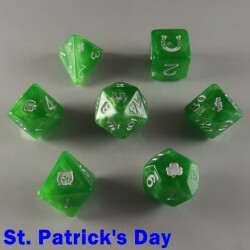 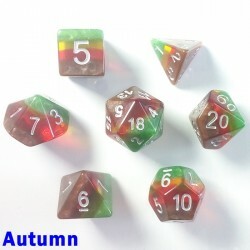 Ancient Green Polyhedral 7 Dice RPG Set Standard ‘16mm’ RPG set, sent in a small zip lock bag .. 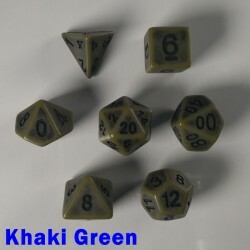 Ancient Khaki Green Polyhedral 7 Dice RPG Set Standard ‘16mm’ RPG set, sent in a small zip lock b.. 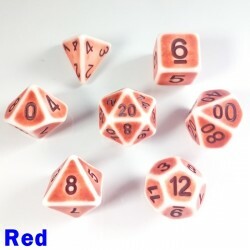 Ancient Red Polyhedral 7 Dice RPG Set Standard ‘16mm’ RPG set, sent in a small zip lock bag Pl.. 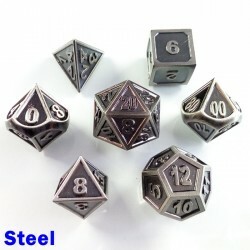 Ancient Steel Polyhedral 7 Dice RPG Set Standard ‘16mm’ RPG set, sent in a small zip lock bag .. 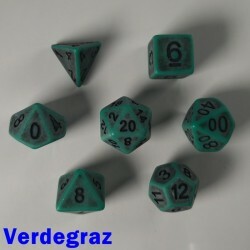 Ancient Verdegraz Polyhedral 7 Dice RPG Set Standard ‘16mm’ RPG set, sent in a small zip lock bag.. 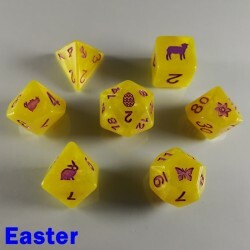 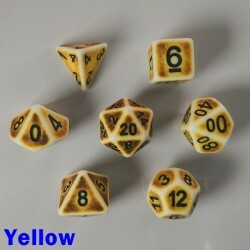 Ancient Yellow Polyhedral 7 Dice RPG Set Standard ‘16mm’ RPG set, sent in a small zip lock bag .. 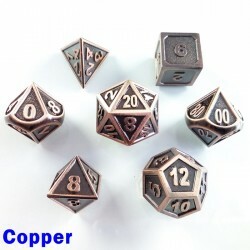 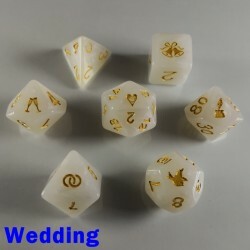 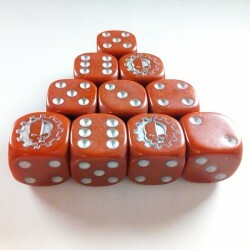 Antique Copper Heavy Metal Polyhedral Dice 7 Dice RPG Set, made of a strong zinc alloy The dic.. 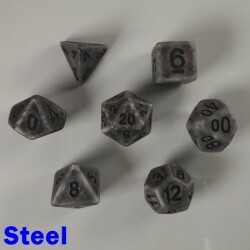 Antique Steel Heavy Metal Polyhedral Dice 7 Dice RPG Set, made of a strong zinc alloy The dice..
Aurora Gem Autumn Polyhedral 7 Dice RPG Set Standard ‘16mm’ RPG set, sent in a small zip lock bag..